Like other equipment in the compact world, small hydraulic excavators keep coming up big for manufacturers. In 2018, they continued to enlarge their place in the construction industry. We’ve even heard sales might be in the 50,000 unit range for 2019. Continued growth for the compact excavator is keyed to refinement of the basic digging machine into a versatile, rather sophisticated piece of equipment. Volvo’s 1.8-ton ECR18E is that manufacturer’s latest rendition. Introduced in January, the model is described as an ultra short swing radius excavator with a half-inch rear overhang. It boasts 50-hour greasing intervals and a roomier cab. For an amusing video of the machine navigating a manicured topiary garden accompanied by classical music, head to youtu.be/yxYgHy_XCyU. Equipment refinements and upgrades sometimes fall in the bells-and-whistles category. It is interesting that buyers of John Deere’s 60G excavator models can now buy one fewer whistle. Specifically, they can order a canopy instead of a cab. “For customers that don’t need the additional comforts of a cab, a canopy can be a great option and is a bit more economical. We now offer a canopy on all John Deere compact excavators,” says Jonathan Spendlove, Deere’s excavator product marketing manager. 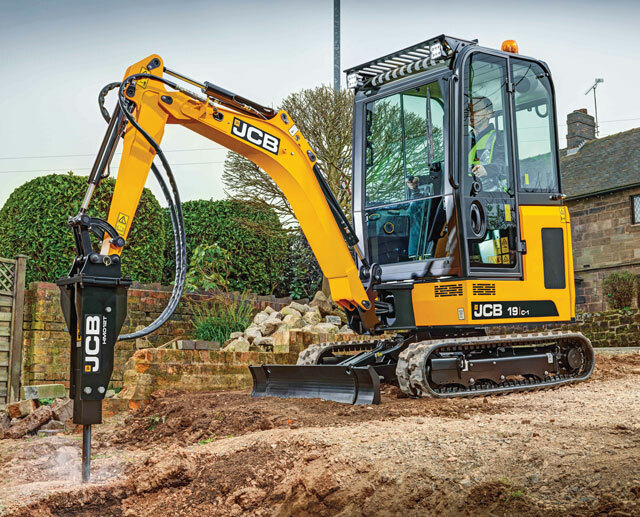 The 19C-I is a conventional tail swing model weighing about 4,200 lbs, while the 18Z-I is JCB’s first zero tail swing excavator in the under-2-ton class. The machines seem tailor-made for rental houses, coming with all-steel bodies, diesel engines without aftertreatment devices, better-protected hydraulic valves and hoses and a 500-hour greasing interval. Grease it and forget it. In the same way, Deere talks about the engineering heritage of its compact excavators. “John Deere compact excavators are designed in cooperation with the Hitachi Machinery Corporation, so the same rigorous engineering that is used on mid-sized and large Deere and Hitachi excavators all the way up to the large Hitachi mining shovels are incorporated into each compact excavator,” says Spendlove. Bobcat’s latest offering as of 2018 is the R-Series E85. The 8-ton machine has a turbocharged engine that doesn’t require a diesel particulate filter — less hassle, less cost — and has a roomier cab and an integrated rear counterweight for added stability. An increasingly popular feature on the excavator is the Depth-Check system that measures grade and depth of a bucket’s cut. It reduces over-digging and under-digging and the resulting secondary work. 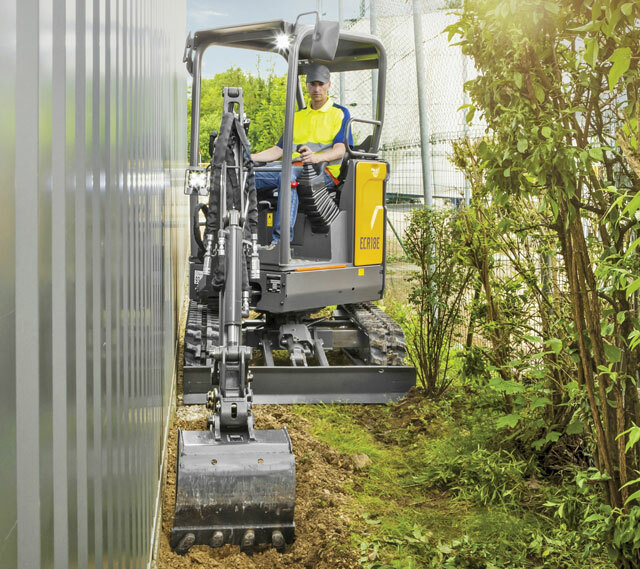 The small blade on the front of compact excavators that at a glance seems mostly to be a stability feature is proving to have genuine utility. Some manufacturers have promotional videos showing excavators blading down worksites. “It’s a cleanup blade, a blade for fine-tuning, not bulldozing. It’s a great feature on the machine,” says Comrie. Volvo also offers its EW60E rubber-tired compact excavator. Though unusual, the machine is not a novelty. The 60-hp excavator can match tracked units in reach and depth of cut but has the added advantage of being able to travel to and from worksites without transport. It is proving popular for municipal work. Caterpillar’s four new smaller models — all in the 1.5- to 2-ton range — have three-cylinder Cat diesel engines rated at about 20 hp and a hydraulic system that can pump 17.4 gpm. Each model has standard options including an expandable undercarriage, flip-up cab, LCD monitor and a Stick Steer system, which lets an operator smoothly transition from foot-pedal steering to joystick control. There are also six new Cat models in the bigger 7- to 10-ton category that come with similar premium features (sans the expandable undercarriages). So, the refinement of compact excavators continues. As it does, the machine’s fundamental engineering grows more mature and reliability becomes a given. 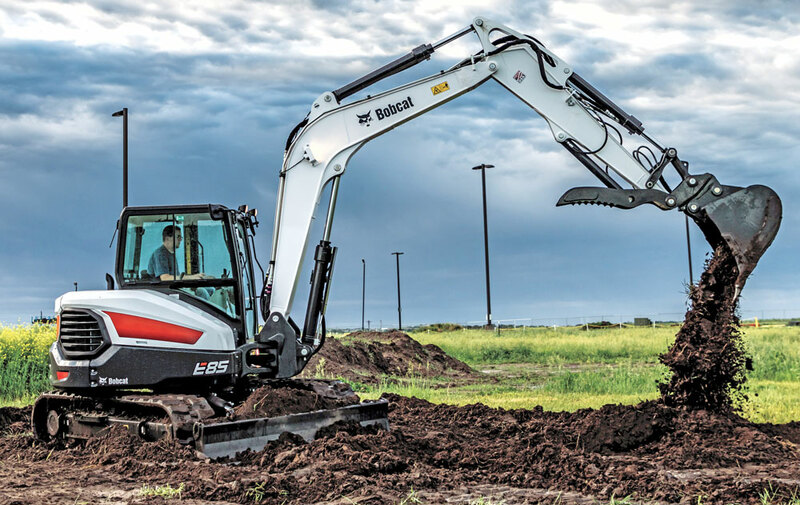 Consequently, manufacturers are extending warranties — such as at Bobcat where, beginning in January, all the company’s excavators are covered by a two-year/2,000-hour standard warranty. R-Series compact excavators from Bobcat also meet or exceed military requirements for sealing, moisture, shock and vibration. Good to know the next time you crowd the edge of a pond and end up dumping your excavator in the water. The why of a new machine — or upgrading of an old one — comes down to meeting needs. Sometimes it is a company’s need to offer something fresh in hopes of capturing a larger market share. More often, a machine or machinery component is engineered and introduced to the marketplace in response to an identified and widespread customer need. 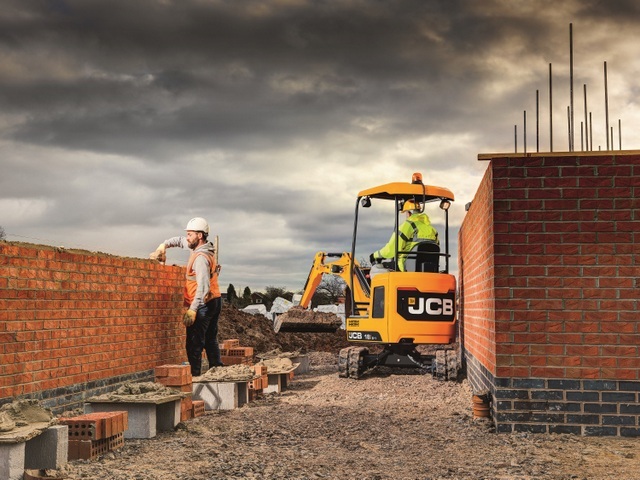 Ashby Graham, general manager of product marketing for JCB, says a new machine’s appearance in the market can happen any time. It is not calendar-driven. “We will put an idea into development as soon as possible and try to be as flexible as we can with the market. If there is something in the market that customers repeatedly are asking for, we try to give the customers what they need.” So, a new product might be introduced in January to a new year’s hoopla — or in August at an industry expo. Other considerations besides customer feedback can influence development. New technology, of course, spawns new machines, but so can legislation or government regulations. Ashby cites the Tier diesel engine environmental regulations. They drove engine redevelopment for years and influenced the introduction of compact models with horsepower ratings beneath the threshold for emissions devices. John Comrie, product manager at Volvo Construction Equipment, has seen how air quality standards can impact machinery use. A demolition customer of his used to demolish steel structures by first cutting them apart with acetylene torches. To avoid environmental concern, the contractor switched to a small hydraulic excavator with a sheer. Comrie sees increasing gravitation toward hydraulic solutions using mini excavators, which are incorporating high-flow systems to power mulchers and augers. 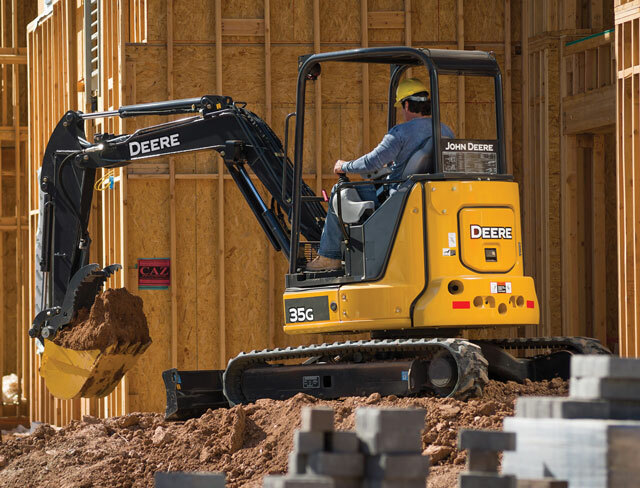 Dig in to more excavator articles here.